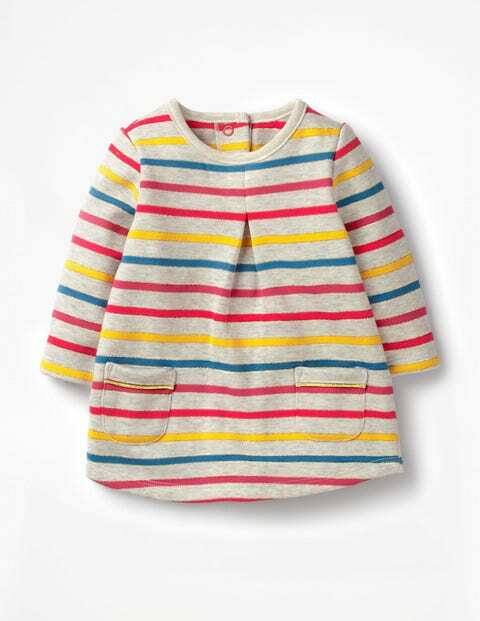 Don't let the cold stop the fun with this cosy sweatshirt dress. Whether you choose the sparkly stripes or the playful, all-over llama print, this knee-length style is crafted from brush-back cotton for a soft feel. We even put a pretty pleat on the front and added two tiny pockets for even tinier hands. Poppers at the back make for quick and easy changes (the best kind).